When Isobel is invited to Aunt Luisa’s for Hanukkah, she’s not sure what to expect. Aunt Luisa has recently arrived from Mexico. 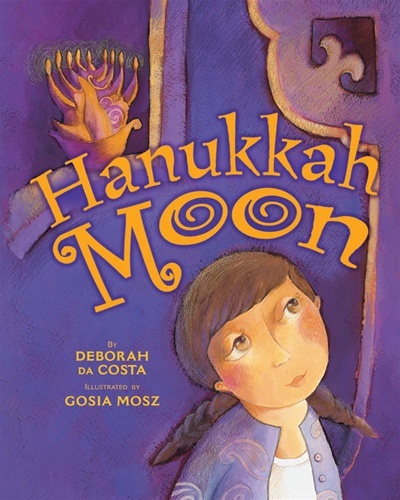 “At Aunt Luisa’s you’ll get to celebrate the Hanukkah Moon,” Isobel's father promises. Isobel’s days at Aunt Luisa’s are filled with fun and surprises – a new camera, a dreidel piñata filled with sweets, and a mysterious late night visit to welcome the luna nueva, the new moon that appears on Hanukkah. An unusual Hanukkah story with a multi-cultural focus, this title celebrates a little-known custom of the Latin-Jewish community.